The color of the water through the Banff and Jasper National Parks is amazing. The mountains are pretty spectacular too. 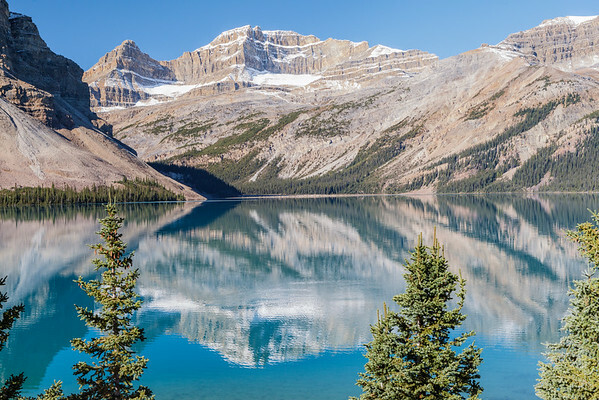 This is Bow Lake.